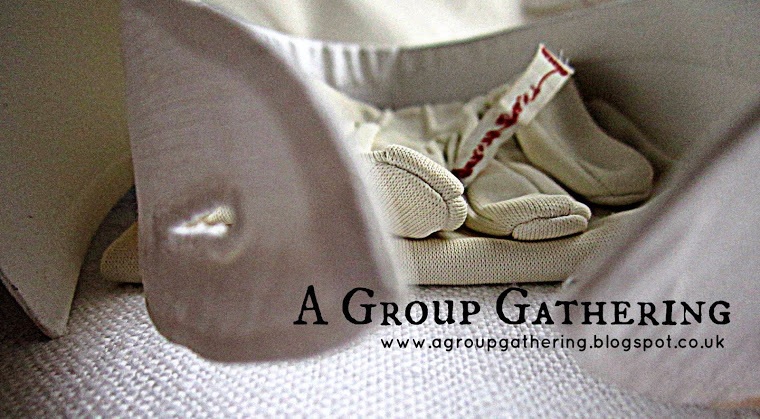 A Group Gathering is a vehicle for bringing artists together to work collaboratively through challenge based projects with a textile emphasis. Each project has begun with a new challenge and a new group of artists. To date, twenty British artists working across a range of mediums have taken part. The results of the Shirt Collar Project (2014) and Daphne's Glove (2015) have been shown through a series of exhibitions across the Midlands. Both glove and collar pieces were shown together at Unit Twelve, Stafford in 2016. Plans for a third Group Gathering project for 2018/19 are in progress.